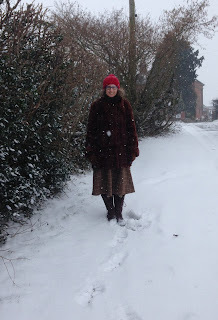 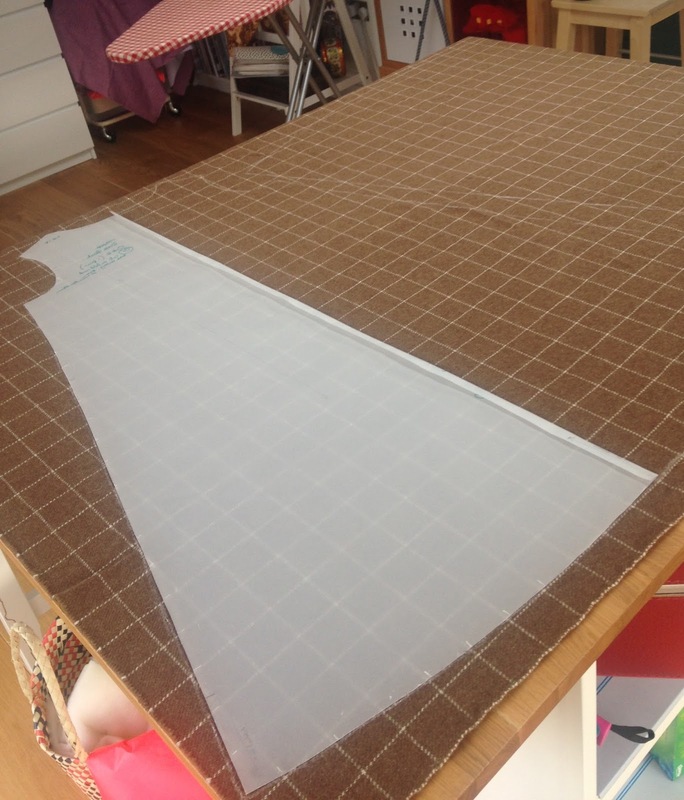 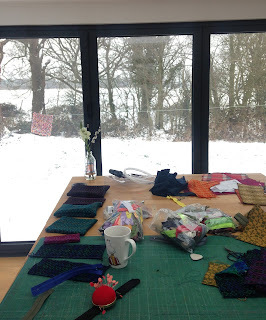 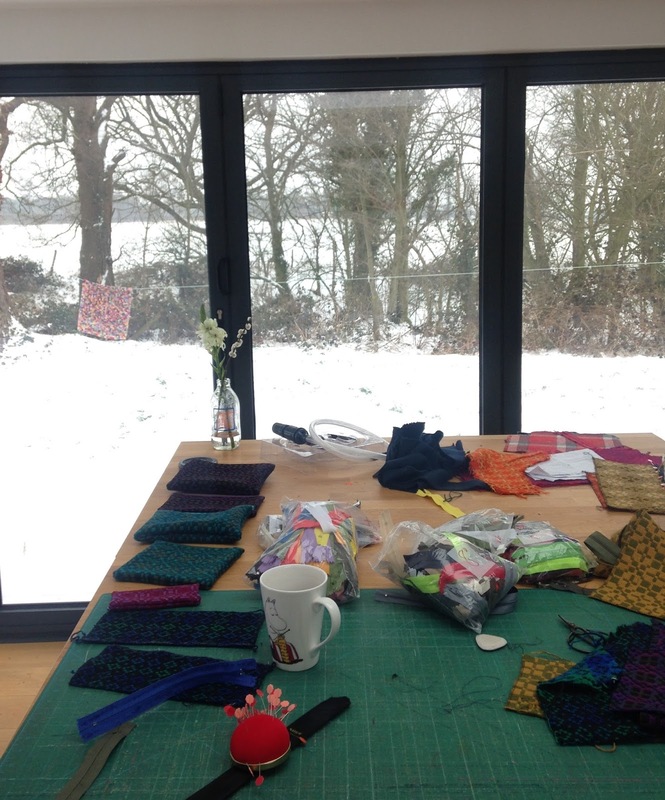 It's been a little bit snowy here, fortunately I have had the blankety loveliness of my newly made Trapeze dress to keep me toasty. 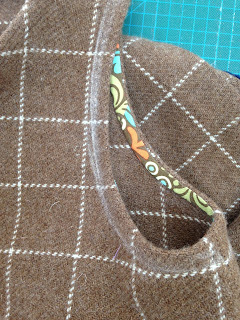 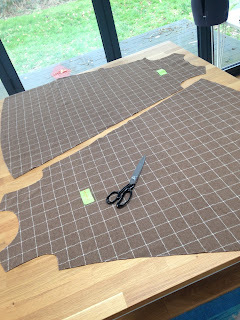 I bought some Manx Loaghtan tweed at Woolfest a couple of years ago with the intention of making a trapeze but it's taken me this long to get around to it and I was sweating on getting it out of the yardage I had. 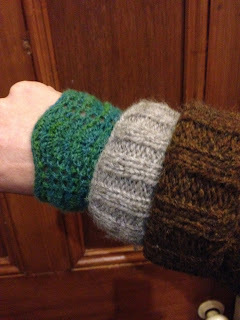 and after a couple of tweaks I've worn it a lot. 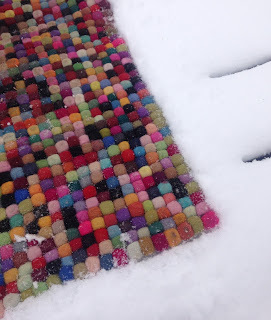 I took advantage of the snow to have a go at cleaning my wool doormat, apparently it's a thing. It stays on the line to get chilly while I beavered away in the warm. 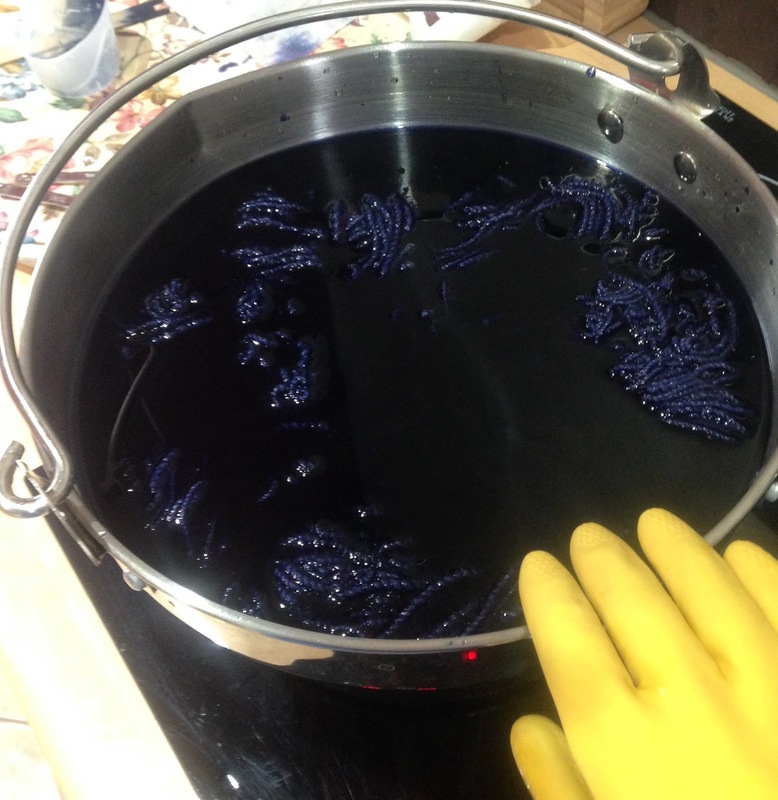 We all had a snow day and I decided to do a bit of acid dyeing, I hadn't tried it before but I will be doing more. 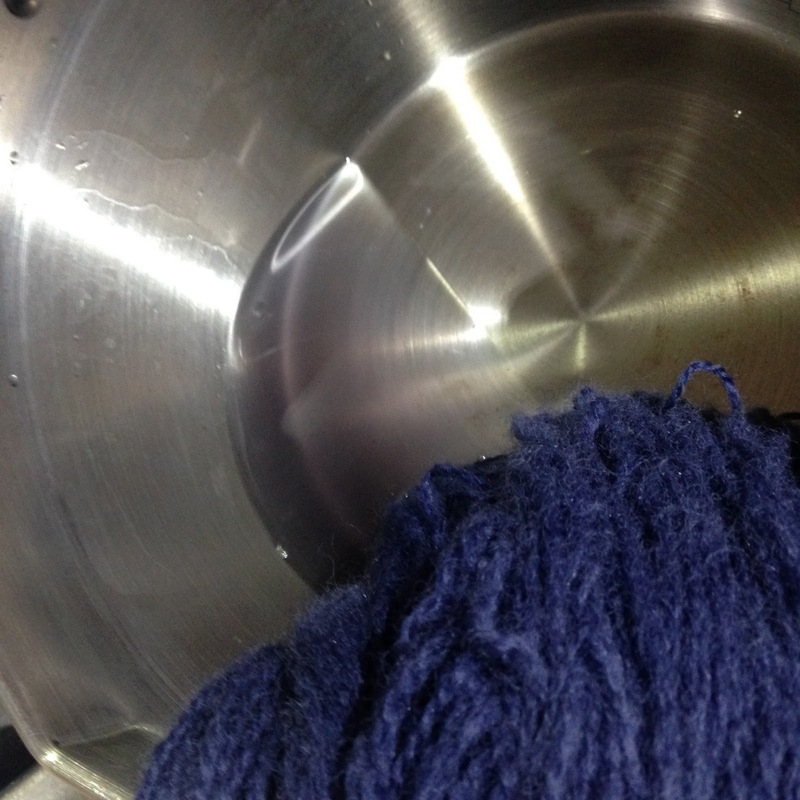 This is to show the clear 'exhausted' water. 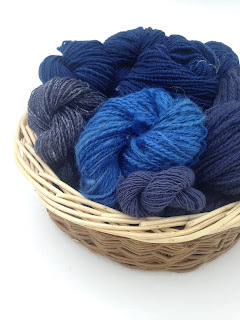 I had about 2000m of Shetland, the bright blue is lambswool and cotswold which was an early spinning attempt, a bit of Shetland singles, Cotswold and the two tone is lambswool and linen. 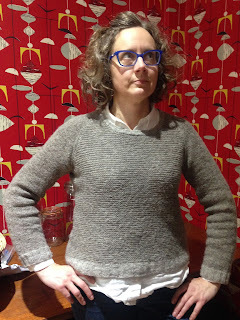 Isabell Kraemer in a local yarn, Shropshire 1512 from Ewe & Ply.